With warmer weather comes time spent outside. But to spend time outside you need to be able to see what you’re doing. During the day, the sun provides all the light you need, but when the sun goes down, other sources of light are necessary. 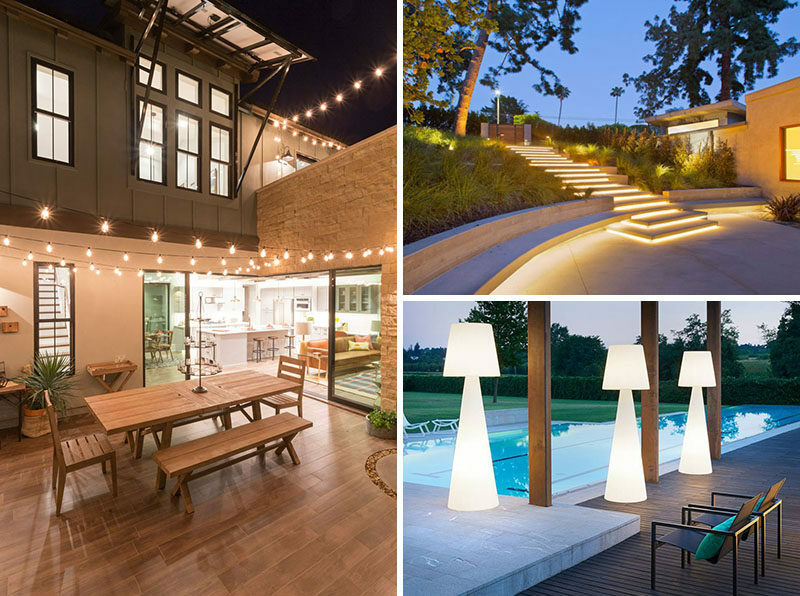 Here are 8 outdoor lighting ideas to help you create the perfect nighttime entertaining space. 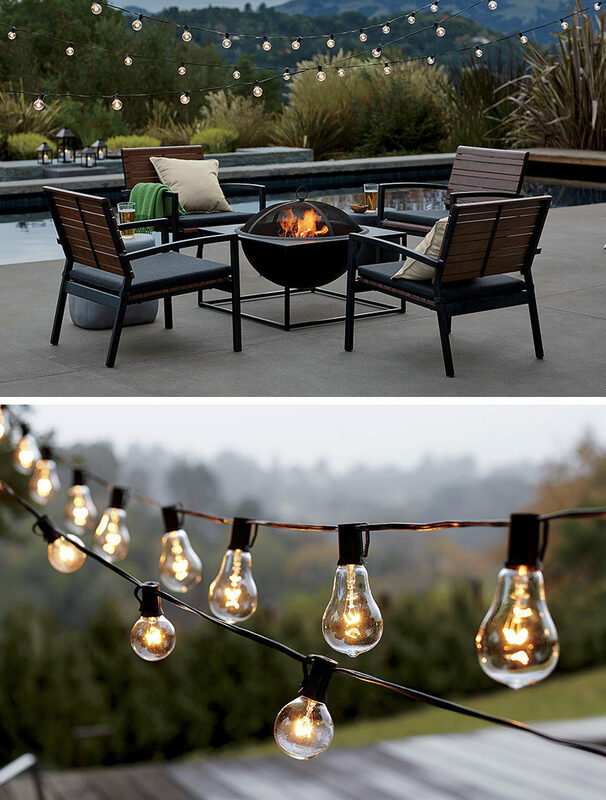 String lights are an easy and fairly inexpensive way to add light to your backyard or garden. Simply string them up, plug them in, and you’re ready for a cozy night outside. 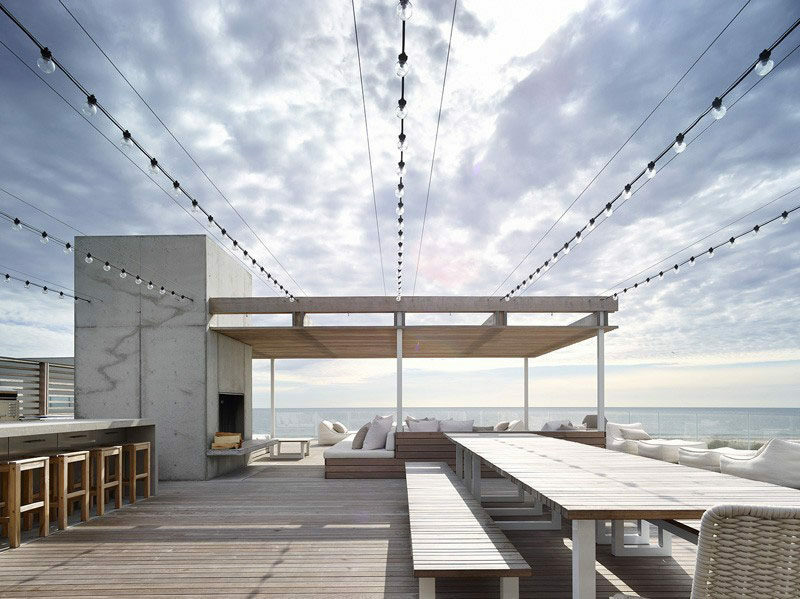 Bobby Berk, Bassenian Lagoni, and AndersonBaron designed this modern exterior. Stelle Lomont Rouhani Architects designed this house in New York. Photography by Matthew Carbone. Globe String Lights from Crate&Barrel. 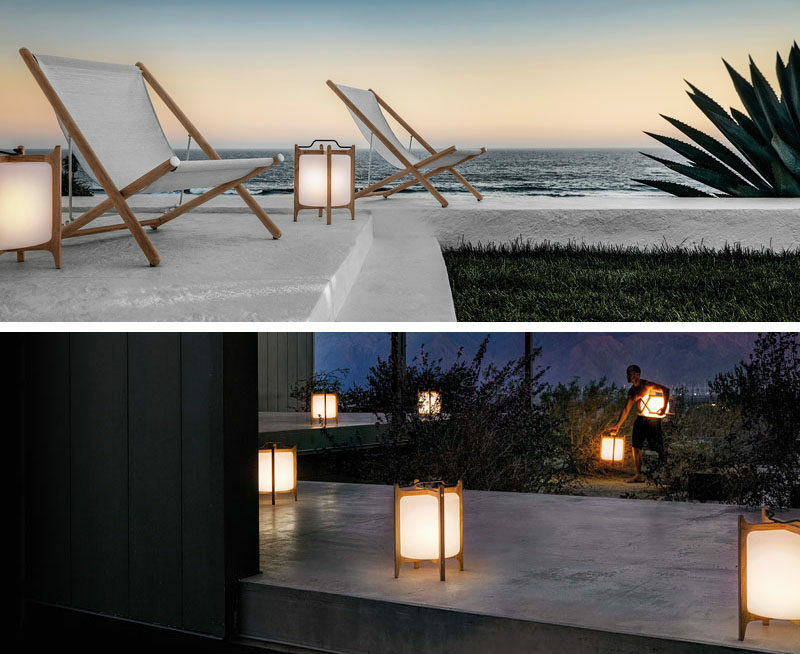 Using lanterns as a source of outdoor lighting is great because they’re easy to move, they set the mood, and they come in a wide range of styles. Depending on the look you’re going for and how much light you want from them, you can find lanterns that use either LED lights or candles. 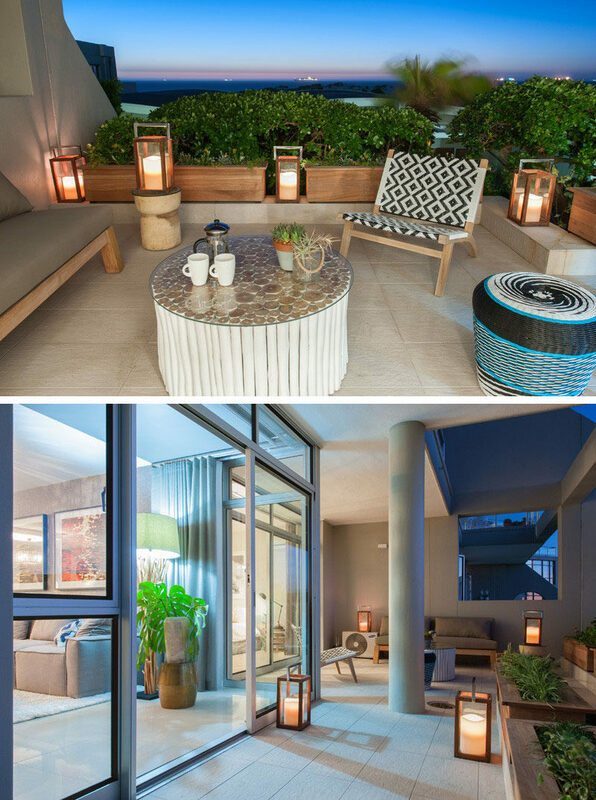 ONNAH DESIGN renovated this outdoor space for a home in Cape Town, South Africa. Photography by Johann Lourens Photography. Voyager Lantern designed by Povl Eskildsen for Gloster. 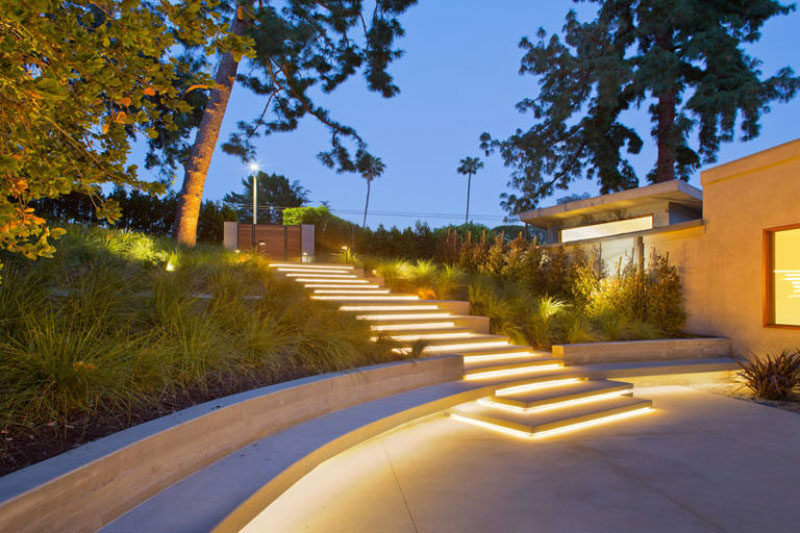 Placing LED strips along the base of your stairs or under furniture is a simple way to brighten up your backyard or garden and makes the space safer. 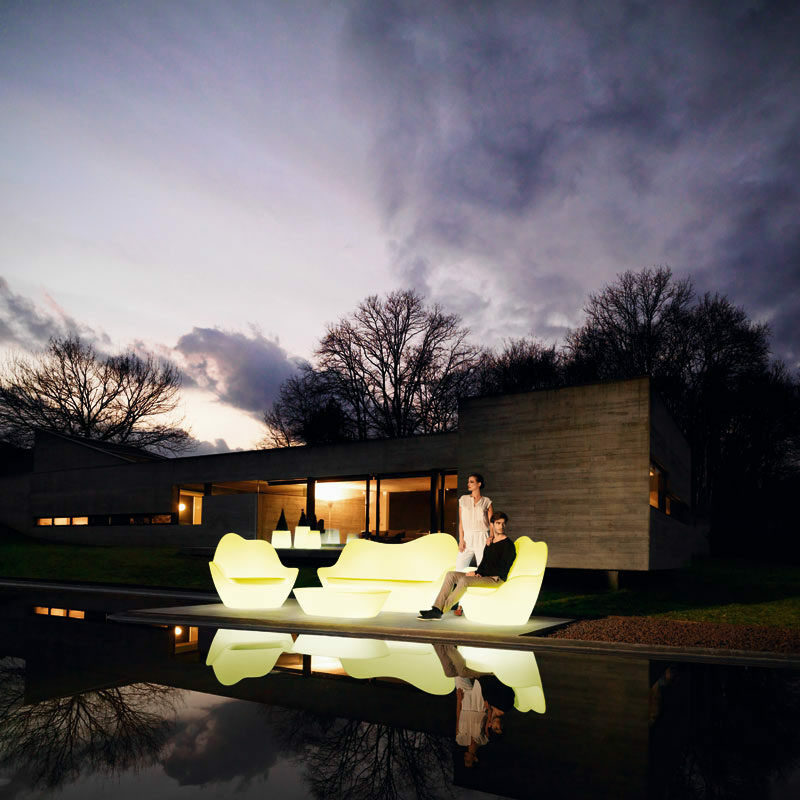 It creates a super modern look and transforms the outdoor area into a place that can be enjoyed at all hours of the day and night. 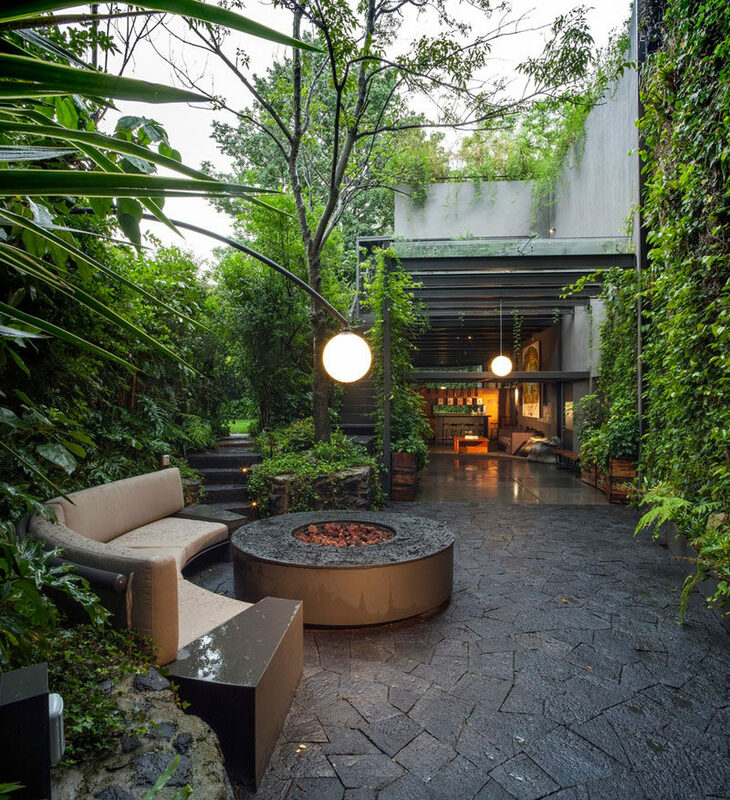 Dieguez Fridman designed this outdoor space in Buenos Aires, Argentina. Core Development Group renovated this house that was originally designed by Gregory Ain. Photography by Bill Singleton. 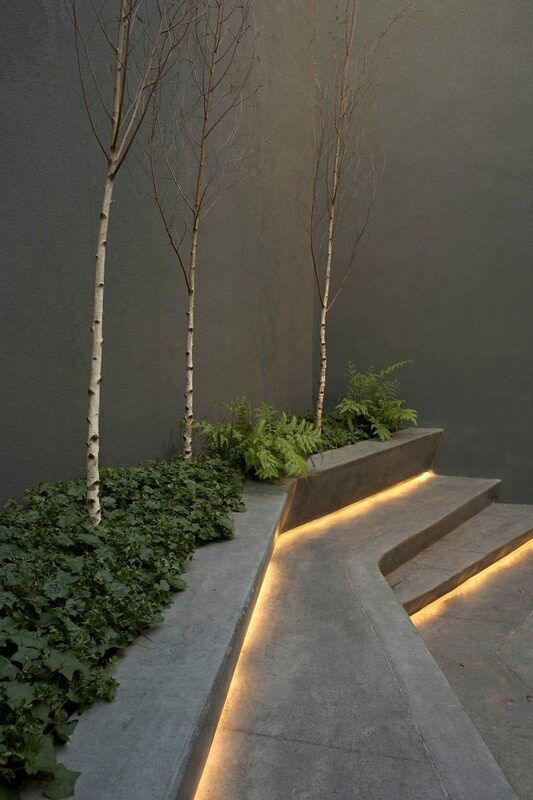 Make a statement in your backyard and garden by positioning lights under trees and plants as well as right up against a wall. It’ll brighten the space while also making it look more dramatic and cozy. Studio Guilherme Torres designed this house in Londrina, Brazil. Photography by Beto Consorte. The Ranch Mine restored this contemporary home in Phoenix, Arizona. Photography by Jason & Anna Photography. 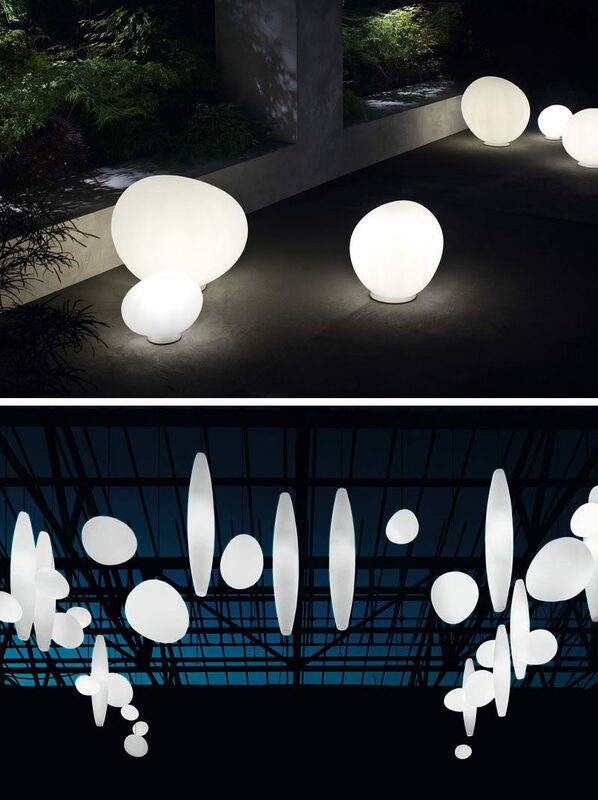 Create an ethereal look by using spheres and orbs throughout your backyard, garden, or on your patio. You can hang them individually or cluster them in groups on the ground to set a mystical vibe and create a perfect little oasis. 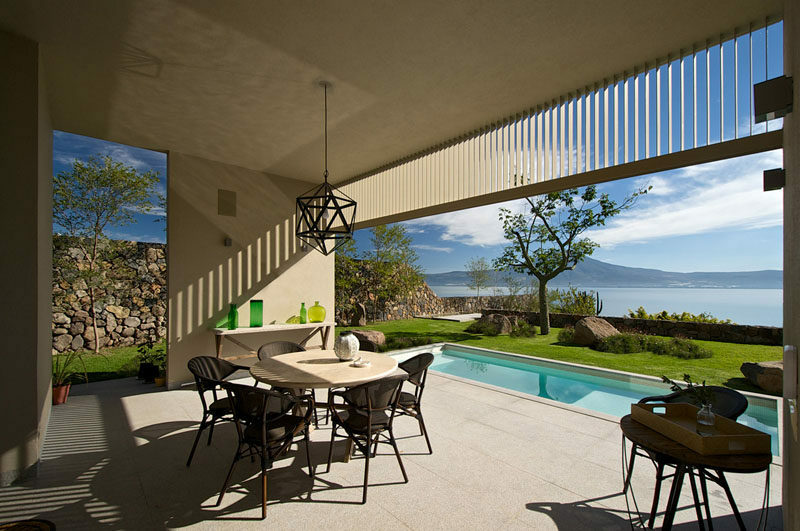 Despacho Arquitectos HV designed this house in Mexico. Photography by Paul Czitrom. 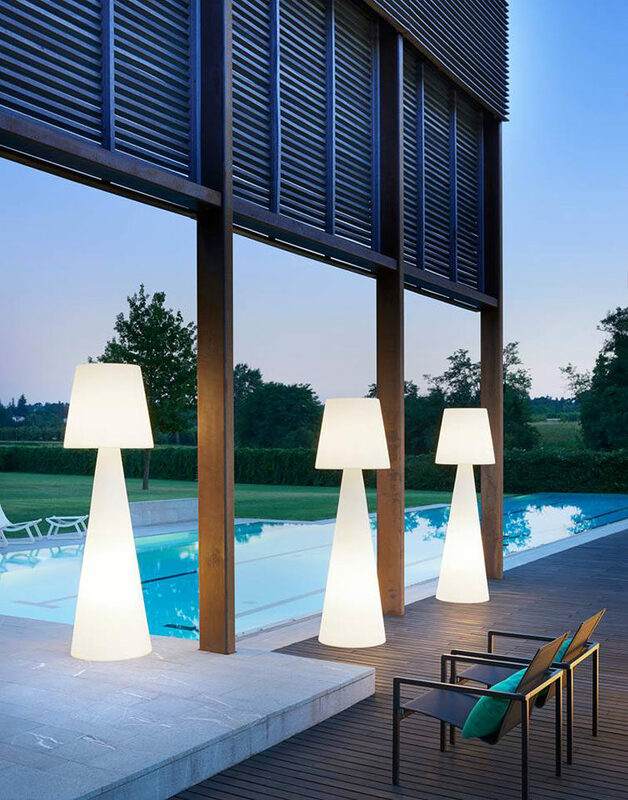 Gregg lights designed by Ludovica+Roberto Palomba for Foscarini. Chance are you’re going to want to have planters in your yard. Why not make them pull double duty as both planters and light sources. 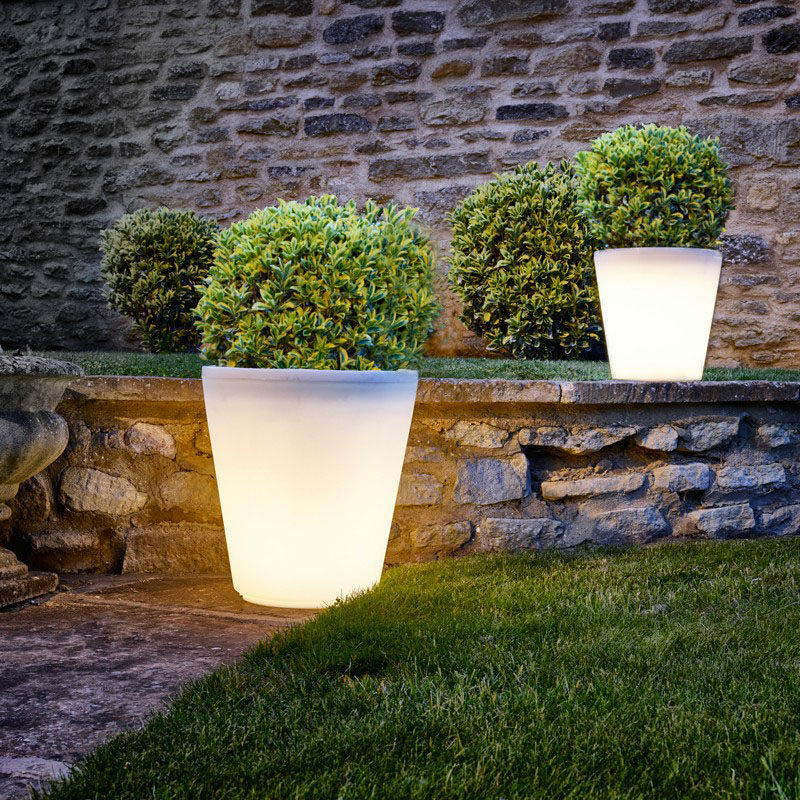 They come in a huge range of sizes so whether you’re planting a few flowers or a massive hedge, an illuminated planter is up for the job. BONES collection designed by Ludovica+Roberto Palomba for Vondom. 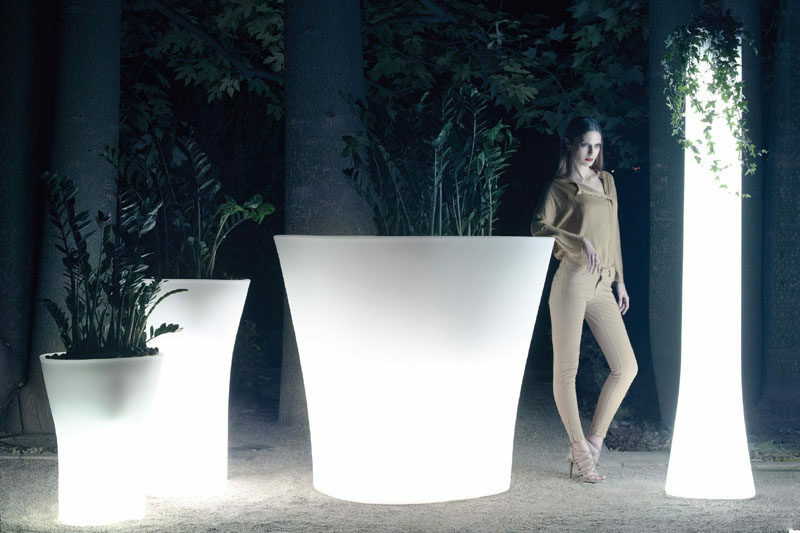 The Assisi LED Planter from Konstsmide. 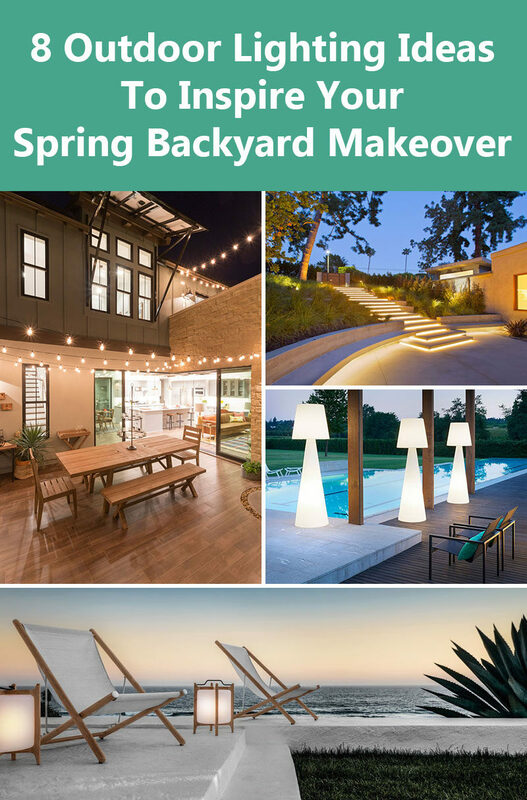 Adding glowing furniture to your backyard, garden, or patio is a fun way to brighten the space while also solving the problem of including furniture and decor. BOT ONE designed by Fabio Della Fiorentina for SLIDE. PIVOT designed by Carlo Constantini for SLIDE. 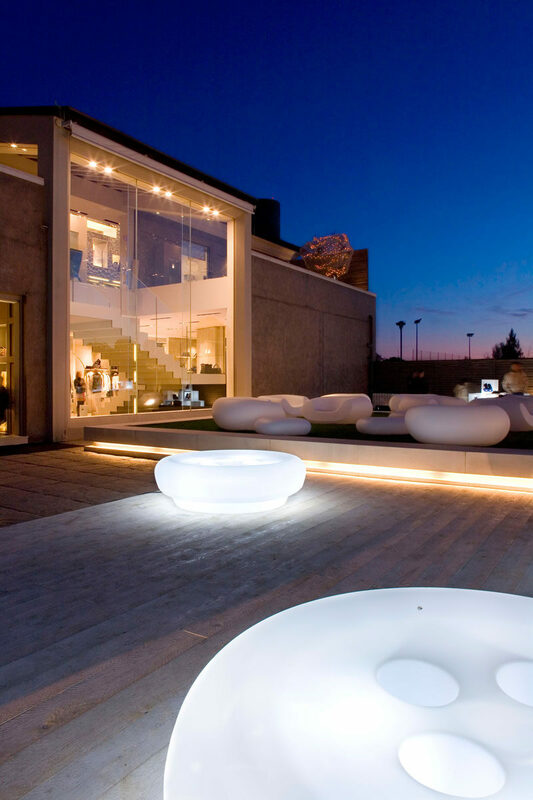 Sabinas collection designed by Javier Mariscal for Vondom. See more examples of the Anglepoise Giant Collection, here. Photography by Jake Curtis. Styling by Hannah Simmons. 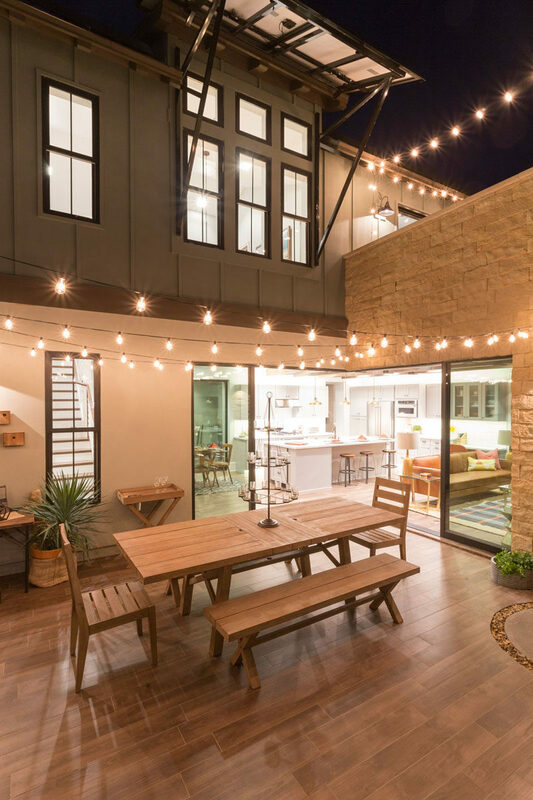 If you have a dedicated dining area in your backyard, pendant lights can be used to shed some light on mealtime conversation and let the outdoor festivities carry on late into the night. 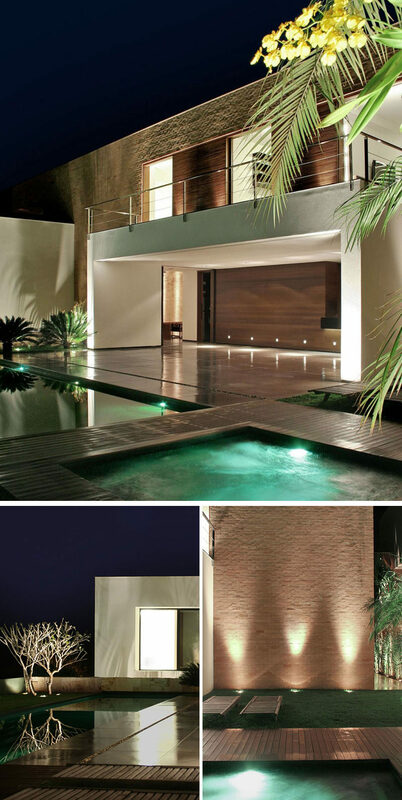 Juan Ignacio Castiello Arquitectos designed this house in Mexico. Photography by Ito Covarrubias. 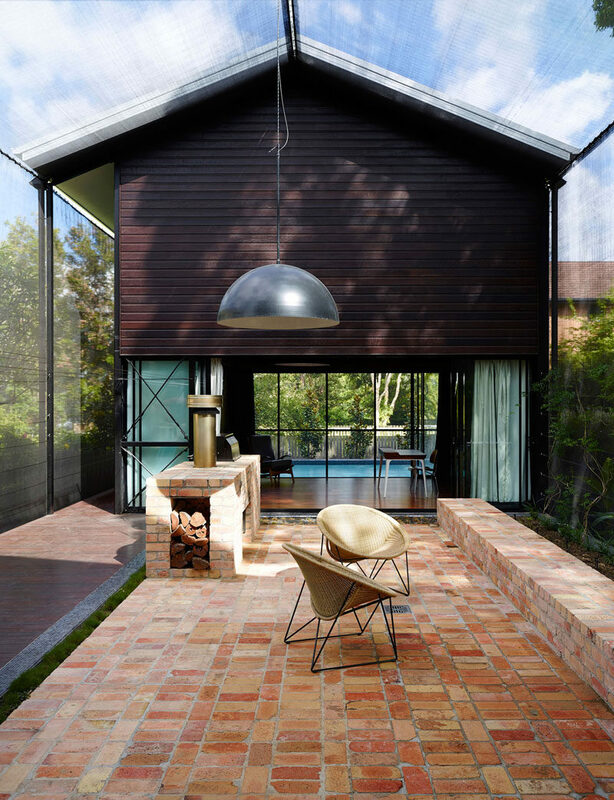 James Russell Architect designed this house in Brisbane, Australia. Photography by Toby Scott. 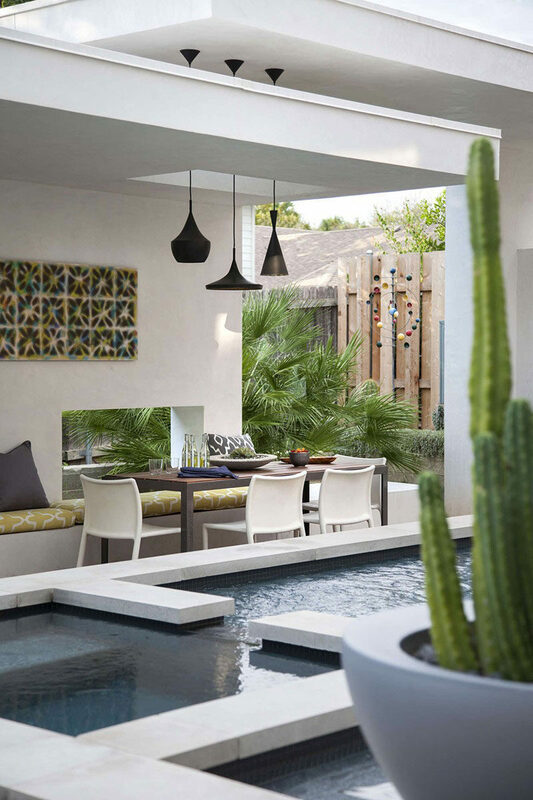 Chioco Design designed this pool cabana for a Texas home. Photography by Ryann Ford.